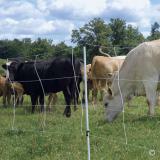 QuikFence arrives at your door as a roll complete with all posts already built into the net. Just unfold it and set the posts (by hand) with only hand tension. It adjusts to terrains and curves better than any other fence. We support it at corners with FiberTuff posts or steel T posts. 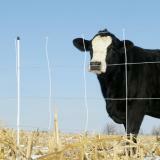 The most reliable semi-permanent electrified cattle fence. Has very visible (extra large) strands. Very easy, simple and fast to install and equally simple to remove. Consists of 4 "hot" interconnected "wires". Bottom strand suspended 1 ft above the soil. 48" tall. 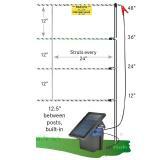 PVC line posts are (3/4" diameter) are built into each roll and have a step-in foot. Cows with calves. 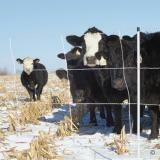 Curious calves learn to avoid QuikFence because it's so visible and has "hot" wires near their noses. Protecting windbreaks and feed supplies. 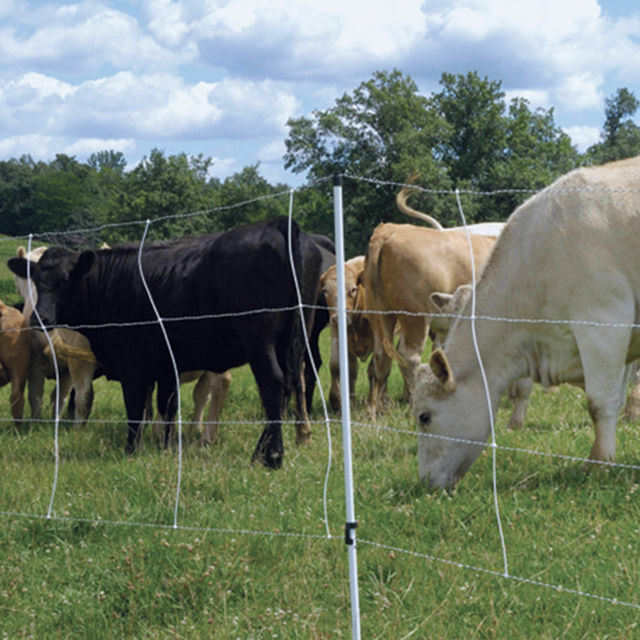 Netting's reliability provides increased assurance. Certainly, barbed wire will do the same but installing and removing "barb" takes far more time and effort. It's more $$/1000 ft than reel-based cattle fences. But no other fence design comes close if you need temporary or semi-permanent fence that's simple, fast to install, visible and effective. Even for new users, it takes less than 10 minutes to go from out-of-the-box netting to installed fence. And it’s durable! Nets last over 10 seasons if used and stored properly. Choose the length and the amount of netting needed. (Example: For a 170 ft fence line, order two 100 ft nets.) When setting up, fold back the remaining 30 ft of net.